PlanToys of Union City, Calif., is recalling about 500 PlanToys baby gyms. Babies can strangle on the baby gym's side rope crossbars. 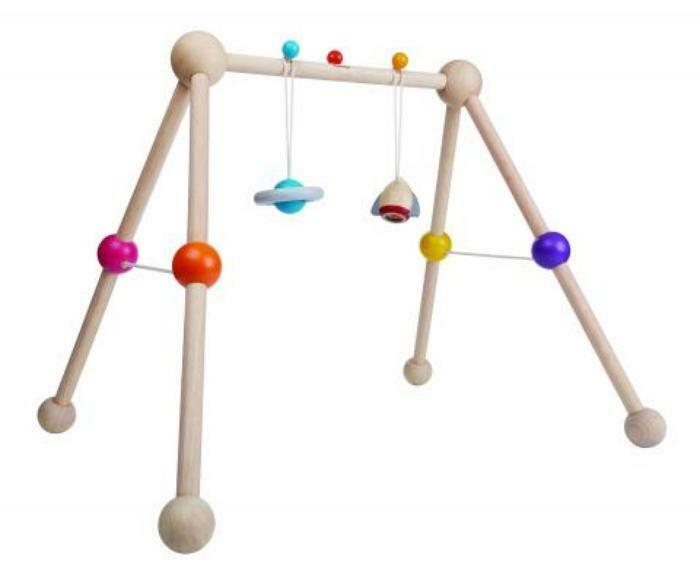 This recall involves PlanToys baby gyms that are set on the floor for babies. Babies lie under the gym to play with the hanging mobiles. The gyms, manufactured in Thailand, were sold at specialty toy and baby product stores nationwide and online at Diapers.com, Target.com and other websites from September 2016, through May 2017, for about $50. Consumers should immediately stop using the baby gyms and contact PlanToys for a free replacement baby gym. Consumers may contact PlanToys toll-free at 866-517-7526 from 9 a.m. to 2 p.m. (PT) Monday through Friday, by email at Michael@plantoysinc.com or online at www.PlanToys.com and click on Safety at the bottom of the page for more information.